I was tempted not to put the scripture that goes with this painting, because by now you should have this scripture memorized if you look at my blog often 🙂 – it’s the scripture I put on all my flower paintings. I need to find some other flower scriptures – if you have any suggestions please let me know. I haven’t posted lastly because I haven’t painted lately. This is an old painting. I haven’t had much time to paint lately and the time I have had to paint I really haven’t been inspired to paint anything. It seems the longer I don’t pick the paint brush up the harder it is to paint. I stopped going to my painting class because I wanted to take a break for the holidays, but my class kept me painting weekly. I’m going to try and find some classes on this side of town. I’m afraid if I don’t I’ll stop painting all together! It’s so good to see another one of your paintings. It really doesn’t matter if it’s “old”. We haven’t seen it before. 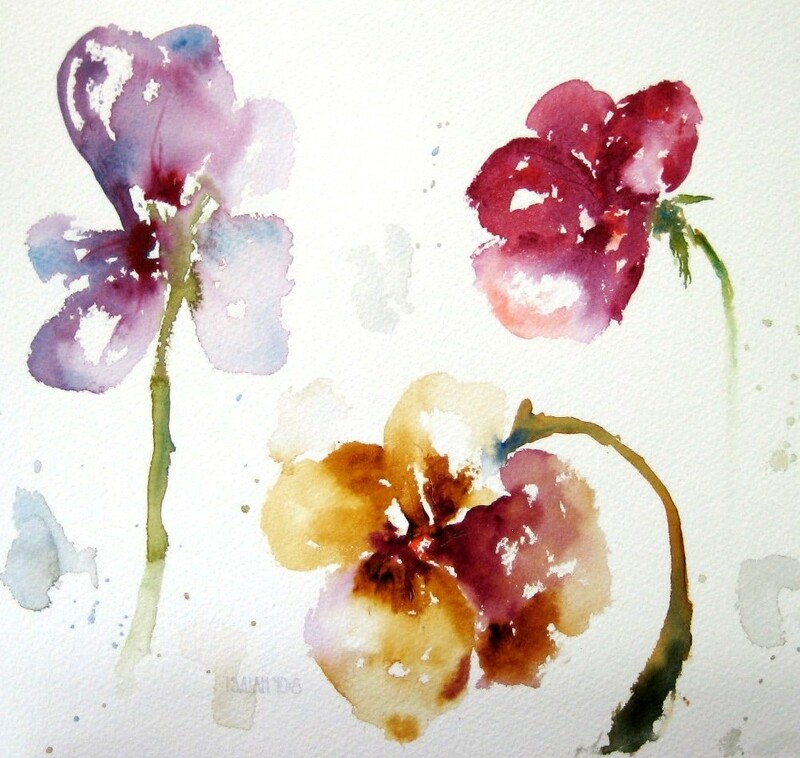 I do love the loose, seemingly effortless way your flowers are painted. Wish I could do that. I know exactly what you are talking about regarding not painting without the classes. I do ( or don’t do) the same thing. I didn’t get to start back to class this go-round after all. Maybe next session. I had wondered if you had taken a break after you mentioned it some time back. Too much for a comment! I miss you. Hey Marge!!! I was just thinking about you yesterday when I was posting this. It’s so good to hear from you! Well, I hate you weren’t able to start classes up again. I do miss seeing you! If I don’t find classes on this side of town I’ll probably start back out there in Brentwood. I hope you’re doing good. I think about you often! O my! Sandi, I love this one! And o my! thank you so much for being a blessing to me by discipling me! I love time with you but getting to learn about the Lord and his Word! THANKS!!!!!!!!! GREAT JOB! Luv ya Gal! see ya next week! Sweet Amy, thank you so much! I have been LOVING our time together too! I look forward to it every week. What a blessing to dig into the Word of God with you. Thanks for taking the time to send me an encouraging comment – I LOVE getting comments! Your work is such a blessing to my life. I love the pansies. Keep up the amazing art and your use of it to glorify God through His Word. Thank you Laura for such kind words, they blessed me!